Steve Rice (Olympia, United States) on 15 November 2015 in Cityscape & Urban. Built in 1853, this catholic church is said to be the oldest church in Japan. Superb view ! And great framing !What an ancient building ! A splendid composition with fine detail up the hill. I like the beautiful textures. Stunning shot in the excellent composition. Wonderful capture of the beautiful church. The church reminds me of school trip in my high school days. I like this church image for its wonderful setting. It makes the entire picture very attractive. Very beautiful composition and superb architecture, the colors are gorgeous. Excellent photo. 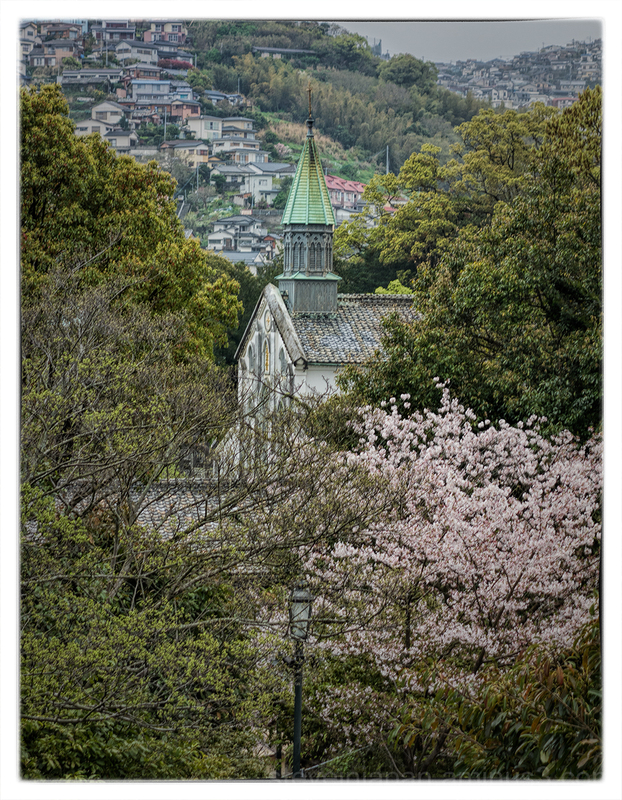 A beautiful view of the church embedded in the surrounding vegetation ... Superb image !!! Love this mass of detail. Love how it emerges. Soothing image.